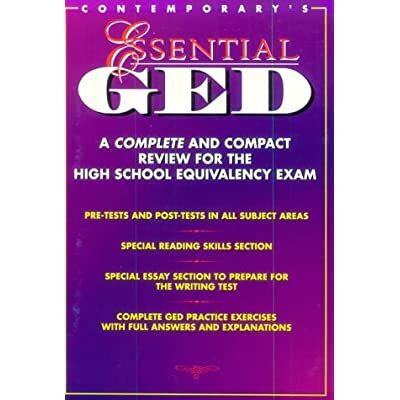 Essential GED: A Complete and Compact Review for the High School Equivalency Exam offers compact and reliable text that gives students just what they need to pass every test area on the GED exam. The targeted format covers all the necessary skills and subjects with easy-to-follow instructions, practice and reinforcement activities, and simulated GED tests. Included in the text are pre- and post-tests, test-taking strategies, an answer key, a countdown checklist, and more.